Massage Makes You Feel Great! 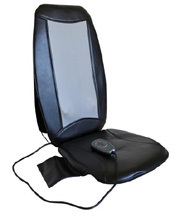 Body Massagers relieve aching muscles that can cause back pain. Body or Foot massagers loosen tense muscles, making it easier to fall asleep. For workout aches and pains massagers can flush pain-causing lactic acid from muscles.